Your knees may creak and your back may ache, but you still want to exercise. You know it’s good for your health, but your body just doesn’t respond the way it used to. But exercising after you hit the big 5-0 is even more important than you might think. 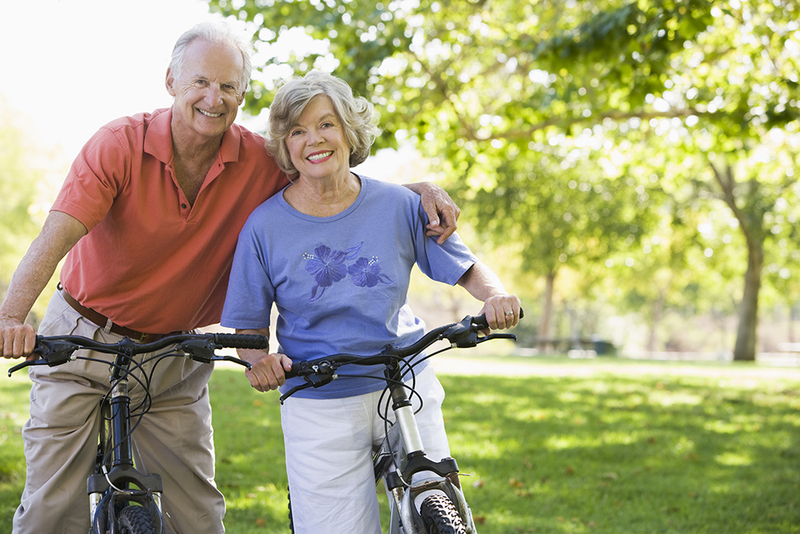 Regular exercise boosts your energy and can even reverse some signs of aging. It’s good for your mood, mind and memory. Regular exercise also helps reduce heart disease, diabetes, colon cancer, high blood pressure and obesity. For those over 50, it also increases mobility, flexibility and balance. With regular exercise benefitting basically every aspect of your health, there are special considerations if you can claim you’re a member of the baby boom generation. All you need to do is opt out of the extremes and exercise in a smarter way. And have fun doing it. Here are 10 forms of exercise perfect for those who were born before the Beatles came to the USA. Yoga – Yoga increases flexibility, balance, strength and mindfulness. With its postures and poses ranging from gentle to intense, you have better control over your workout. To get a more in-depth look, read our previous article featuring yoga. Stretching – While stretching is important before any exercise, it’s a valuable activity on its own. Stretching can help relieve back pain, while boosting energy, and promoting flexibility and overall health. Biking – Whether you’re taking in a scenic view outdoors or riding a stationery bike, biking is an all-around beneficial workout. Biking is a great low-impact cardiovascular exercise that also helps maintain muscle mass and bone strength. Walking – Just going for a simple walk has a load of benefits. It elevates mood and builds a stronger heart. Simple ways to walk more – park farther away from your destination or stroll around the mall. For more reasons why walking is good, read our recent article featuring walking. Pilates – This is another great low-impact, strength-building exercise that’s perfect for those in their middle years. Although similar to yoga, pilates focuses on the core muscles of the abdomen and lower back. Here’s a link to our recent article about the benefits of pilates. Tennis – The all-around classic sport is not only fun, it’s great for your body and your mind. It helps keep you agile and alert while you quickly respond to the position of the tennis ball. It’s enjoyable to play indoors or out, on teams or with a friend. Swimming – Swimming boasts countless benefits – from being low impact, to boosting your mood, to offering a great cardio workout. Water’s natural buoyancy allows you to target every major muscle group – back, shoulders, abdominals, legs, hips and glutes. Discover more benefits of swimming by reading our recent article. Dance – Hard to believe that something so fun can actually be considered a workout. No matter if you like country or disco, salsa or hip hop, dancing is an enjoyable exercise that offers great aerobic benefits, along with elevating your mood. Elliptical – Although it’s similar to running, an elliptical machine is a wonderful cross-training exercise that’s much lower impact than a treadmill. Most gyms have rows of them or consider investing in your own to use at home. Strength Training – This is one of the most versatile ways to stay in shape. You can either use small free weights or barbells to perform a variety of lifts. Plus, small weights that can either be held or worn during any of these other activities helps build even stronger muscles. No matter what you like doing to stay in shape, remember that any type of low-impact exercise that you enjoy will keep you staying healthy and happy for many years to come.